Welcome to the second episode of AviatorCast! Today we are going to touch on some subjects that are all the rage to talk about these days. Namely, how much we as pilots should be using autopilot. We not only go into the pros and cons of autopilot use, but also talk about why you should be hand-flying a lot more to maintain your skills as a pilot. Nearly every aircraft that rolls off of the factory floor in today’s world will have some sort of autopilot. Autopilots are incredibly useful for flight, and often even required. The autopilot certainly isn’t an enemy of a pilot, but if relied upon too much, it can degrade the basic core skills of even the most talented aviators. As we accept these new technologies into our repertoire, they must have a place. A place among or even outside the core skills that makeup who we are as aviators. Often with new aircraft or these new ideas of automated flight, we as pilots get ourselves into situational traps that put us in unnecessary danger. Let’s discuss some pros, cons, thoughts and ideas on how autopilots help, hurt and handicap us as aviators, and what we can do about it. Has found it’s way into GA, and now into small single GA. Many different types of autopilots, and different levels of precision. What kind of autopilot does your aircraft have? There are a great many pros of an autopilot. In many situations, an properly functioning autopilot is required for certain phases of flight by regulation of by a companies SOPs. If you rely on an autopilot too often, and don’t find yourself practicing hand-flying skills, it may be time to ‘disengage’ and fly a bit by hand to get a feel for your aircraft. Autopilots are a fantastic tool for pilots, and although there are some negatives, mostly for GA pilots, these systems offer a whole lot of important help for aviators. As simulator pilots, we see this shiny new aircraft that was just released, and we all clamor to go and fly it. This leads to a lot of inexperienced and untrained aviators flying the virtual skies. 70% of our trainees do not know the basics of how to fly. We find this odd, as our Aviator90 course is free for all to learn. Even the basic skills of landing, takeoff, taxi, and basic flight maneuvers aren’t known by the vast majority of flight simmers. Although we wouldn’t expect you to completely ignore these awesome simulations that are released on the market, we do at least think that all should strive to at least get the basics down in conjunction with flying that new toy. After our autopilot discussion, we want to take things a bit further. We think that all pilots, both virtual and real world, should be excellent and skilled aviators before relying too much on an autopilot. What that means? You must become confident that you can precisely control an aircraft through all phases of flight, not just landing and takeoff. Let’s discuss how all this has evolved, some challenges you may be facing now, and how you can overcome these difficulties. These aren’t just young kids cruising around! Time to be an Aviator! Just go fly a GA airplane! Find one you love, and go somewhere. Do odd and unpredictable things in the aircraft- Try new things! Become a champion of hand flying! The idea here is to get the relationship between you and your aircraft mended. For far too long you haven’t taken the time to become intimately familiar with the beauty of how an aircraft handles by hand. It may be difficult at first, you may ‘crash’ the simulator often, but you will learn quickly. As a result, you’ll experience one of the most fulfilling aspects of flying. Tell me this guy isn’t a bad @$$. Did he have an autopilot? Find a great GA aircraft. We love Carenado. Need some great scenery? Look no further than ORBX. Need better flight controls? Get our recommendations! Big thanks to Atrasolis for providing the great music for our podcast. Please check them out on their Facebook Page or SoundCloud and get the music you’ve heard for free. Major thanks to the amazing Angle of Attack Crew for all their hard work over the years. Our team works incredibly hard, and they’re very passionate about what they do. Want to get regular updates through iTunes? This is the easiest way to automatically download your podcast, and take it on the go. Make sure to SUBSCRIBE HERE. Want us to let you know via email when episodes of AviatorCast are released? We can do that, too. SIGNUP ABOVE. Want to get started with some of our video training? Go to our main page and signup for Aviator90 (our basic and free course) or other pay products we have. [transcript] Chris Palmer: This is Aviator Cast, episode 2, V1, rotate, positive rate, gear up, and here we go! Voice-Over: Calling all aviators, pilots and aviation lovers, welcome to AviatorCast. Where we close the gap between real aviation and flight simulation. Climb aboard, buckle up, and prepare for takeoff. Here’s your host, Chris Palmer. Chris Palmer: Welcome, welcome, welcome aviators, you’ve landed at AviatorCast. My name is Chris Palmer. You can call me an aviation nut-job. I just love things that fly. I’m a pilot myself, and also very passionate about improving the way we look at flight training and flying itself in whatever way I can. I’m also the founder and owner of Angle of Attack, a flight simulation training company that is bringing you this podcast today. So we made it to episode two, I hope you enjoyed the last episode. It had some rough edges definitely, I just want to get my foot in the door and get an episode out there and get AviatorCast started. I have a lot of great things prepared for you guys today. But first of all I just want to thank you for being here, thank you for taking the time to digest this information and for your commitment, to become a better aviator. We certainly love our aviators and our trainees here at Angle of Attack and we’re glad that you are a part of what we are doing. So again, thank you for being here and welcome. In this episode today, we’re going to talk a lot about autopilot use and hand flying your aircraft. These are topics that are useful for both real world pilots and simulator pilots and anyone that’s kind of in between that mix. So, you’ll definitely find this useful. We’re just going to dive straight into the topics and start with our first topic today. Chris Palmer: Now the flight training segment. Speaker 2: On this first topic, we’re going to talk about the age of autopilot. In nearly every aircraft that rolls off the factory floor in today’s world, they will all have some sort of autopilot, almost all of them. Autopilots are incredibly useful for flight and often even required. Now, the autopilot certainly isn’t an enemy of a pilot, but if relied upon too much, it can degrade the basic skills of even the most talented aviators. As we accept these new technologies into our repertoire, they must have a place. A place among, or even outside, the core skills that make up who we are as aviators. Often with newer craft, or these new ideas of automated flight, we as pilots get ourselves into situational traps that put us in unnecessary danger. We are going to really cover this autopilot topic broadly, we’re going to talk about the pros and cons, the thoughts and ideas about the autopilot, how it can help, hurt, and handicap us as aviators, and then also what we can do about it. Before we actually go into all that, the pros and cons, things of that nature, and defining what autopilots do for us and how they can both hurt and help us. Let’s go into a brief history of autopilot. This is something I wanted to study a little bit before I actually got into this topic. I found it really interesting just how old autopilots are. You’d be surprised to know first of all, that the first autopilot was developed in 1912. Now that really blew my mind because that is not long after the dawn of powered flight, right? Soon after, 10 or so years, we’re looking at the first autopilot being developed. Now, obviously it’s not even going to be something as complex as what we’re using today, where it’s coupled with GPS and is very precise and smooth. These were more autopilots that were holding a specific heading and altitude and were very basic along those lines. With that said, for the time, these had to be incredible inventions. This first autopilot is actually showed at the Paris air show in 1914 where the guy that invented this, called Sperry, I think is how you pronounce it. He showed this off to onlookers at the airshow and he flew straight and level, with his hands off the controls basically. I don’t know exactly how he proved that, if people just had their binoculars out, but anyway, he proved essentially that this technology was possible. In the show notes, you’ll actually find some links to some popular mechanic articles from back in the day that show how all this worked and showed the schematics of how this autopilot worked and it’s actually really impressive what these people came up with. It was also interesting how early aviators were looking for an autopilot to assist them in their flight technique. There’s an interesting aspect to that too, there was obviously a need there that the autopilot fills and that’s been recognized since the beginning days of aviation. As you can imagine, with a lot of aviation technology, this is later developed by the military in the 1930’s. At that time, they had an aircraft that went and it flew on a specific course, straight and level, for three straight hours. Which was quite an impressive feat, so it’s just kind of the first big breakthrough of this technology, where they actually did plan to use this long term. From there, the history of the autopilot really starts to accelerate because aviation itself started to accelerate. That largely came because of World War II, where we saw a huge jump in aviation technologies because the different sides of those battles, whether it be the Germans, or the Japanese, or the American’s or British, everyone was looking for a leg up when it came to aviation superiority. Aviation technology just took off. We saw very, very high performance aircraft for that time that is even still impressive today. Just this huge jump, so along with that, you’d obviously expect for autopilots to come along with that. Quickly after World War II, or even before World War II, we were getting into first regular passenger scheduled flight, things of that nature where all of these technologies are very useful there too. Primarily during all of that time until the last several decades, it was primarily used in military, airliners, jets, corporate jets, and things of that nature. But in the last several decades, it’s really pushed forward a whole lot in general aviation. Today, if we’re talking just about where we are today, and how I opened this segment is – it’s so common today in small single engine, general aviation aircraft, to have a very robust autopilot just because the technology is so advanced and it’s cheaper and more accessible/ As a result, we have the capability of having small fly-by-wire systems in these types of aircraft. Generally what we’re talking about here is a very basic unit that still works with precision and all the actuators and things of that nature. That’s where we’ve come, we’ve come from this being developed a hundred years ago, can you believe that? Just over a hundred years ago, the first autopilot was developed. To where now, it’s accessible in almost every single aircraft, even small general aviation aircraft which I found quite incredible. That gives us an idea, and something to build on when we think about the usefulness of an autopilot and just how much people are relying on it and how long aviators have needed such a tool. With that, let’s build a little more and talk about the different types of autopilots to consider. When we talk about an autopilot, we’re not talking about this overall, overreaching subject here. There are different types of autopilots, there are some autopilots that are Roll Control only, there are autopilots that are pitch specific. If you will, there’s Yaw control with things like Yaw damper, and we should also consider some of the other autopilots. There’s this kind of grey area, but at the same time not, these are automatic systems that are assisting the pilots, and those others are SAS systems or stability augmentation systems, autothrottle is one we should consider as an autopilot tool, which is definitely one that is used quite a bit. Then there are other constant autocorrections that some systems make. You could even consider that to be fly-by-wire system right? In the 787 or Triple7, or almost all of the airbus series. Airbus uses a lot of these autocorrections and to be quite honest, there’s a lot of military aircraft that, the only reason they fly, is because of the computers and background making the improvements to the flight dynamics that the pilots themselves could not make. That’s the reason why things like the F1-17 and the B-2 Bomber can actually fly and I’ve heard even the F-22 and the up and coming F-35, all those things fly just because the computer’s operating it in the background, making millions of calculations on how to control the aircraft. Then the pilots can make what they deem to be regular inputs, to make the aircraft fly as they had learned how to fly. That may be a little too broad for this part of the discussion but, those are the different types of autopilots that we should consider again, Roll Control, Pitch Control, Yaw Control, the SAS systems, Auto Throttle, and some of these Fly-by-wire systems or the computerized backbone of some of these autopilot systems. What’s behind all of this autopilot stuff? These days, we have a lot of computers that are doing the work, but at some point that becomes mechanical where the flight controls actually have to move. We’re talking about actual linkage with actuators to the flight controls whether that be through a fly-by-wire or, what is most common with general aviation aircraft, because you don’t run into the large body problems that come with moving control surfaces, it’s just direct cable manipulation. Yes, there is a big computer component, which is actually the biggest component in these days, and you won’t see a lot of mechanical autopilots, and then there is the mechanical part of it. Obviously, back in 1912, when Sperry invented the autopilot, it was all mechanical and they worked out all the stuff to where computers obviously weren’t involved. These guys were clever enough to get these things to work back in the day. Were they as accurate as a bowing 777 or an airbus A-321? No, obviously we’ve made a lot of headway in where we are in aviation today. Still, quite impressive in what they did back then. When we are talking about the autopilot system as a whole, we’re talking about computers in the background these days, they’re making those decisions for us in order to correct our flight path accordingly to what we tell the system to do and then in some cases, like with the auto corrections for some aircraft, what is programmed in that aircraft to make it fly the way its supposed to. That covers the general aspects of it, where autopilot came from, what types of autopilots we have, and then what’s behind it all. Now, I know that I over generalized what’s behind an autopilot. It’s an incredibly difficult system, or rather, complex system. I even learned a little bit about how the space shuttle was run, and this is really interesting, the space shuttle was run in this system where it had 5 different programming systems, 4 of them were the same programming language and those were all 4 different flight computers. Then the 5th one was made by a completely different team in a completely different programming language, just to cross verify the two so there wasn’t a mix up in language. I found that really interesting, that’s a technique they use on some of the more complex systems. These systems go in incredible depth and there are obviously teams at Airbus and Bowing and Cessna and a lot of these big manufacturers, and I know I left out a great many of those. There are teams that are making these autopilots and that’s all they work on, they work on continually refining how great they are and how precise they are, and how smooth they are. There’s a lot that goes into these systems and they integrate with the aircraft these days in a large sense especially when you’re talking about airliners, it’s almost the exact brains of the system and that’s how it all operates and from there you have the other systems. Incredibly complex, so we’re not going to go into too much depth in just how complex they are and all the different components that come within an airliner. You’re going to learn about those in your type rating if you go through one of those and you’ll have a better understanding of how that works. Now let’s get into the overreaching mindset stuff about the autopilot and how the autopilot has helped us, how it hurts us, and what we can do about that. First of all, some of the pros about the autopilot, I think for the most part, the pros definitely outweigh the cons, otherwise we wouldn’t be using autopilot as much as we do. This conversation isn’t meant to bash autopilot or say that it’s terrible or we shouldn’t be using it, it’s just to open your eyes a little bit on making sure that autopilots aren’t taking over your life, right? Keep in mind that as we go into the pros here, the pros are great and they far outweigh the cons but we still need to be aware of the cons as we go throughout our aviation careers. One of the biggest pros about the autopilot is that it reduces pilot fatigue. I remember when I was first flying in a general aviation aircraft, it was the first time I was going through really long cross-country flights. I was flying a Bonanza at the time that had extended takes on it so we could stay in the air for quite a while and I just remember doing this flight from Nebraska to Utah and during that time, there was a lot of uneven air and unstable air, and I just remember making constant corrections the entire time and thus having quite a big head wind and it being something like a five and a half hour flight and I was just so exhausted by the time I was done because I had to make every single correction on that flight. It was so exhausting. As pilots, if we have to keep the aircraft by ourselves, in a continual sense of stability and precision. We want to follow our flight paths to the best of our ability that goes into efficiency and a lot of other things. If we had to do that constantly, it would just be way too much for us to handle amongst all the other things we need to do. Now, could it be done? Absolutely. We could definitely do that day in and day out if that’s what we absolutely had to do. But we don’t, because we have an autopilot. An autopilot reduces that pilot fatigue and allows us to get on the other things, and we’ll talk about that a little more in another pro that will come up here. That’s the big one, I think that’s the biggest one when it comes to pros of the autopilot, is reducing pilot fatigue. That’s a very big deal that the autopilot does for all of us. Another pro is, autopilots are often more precise than the pilot can be in many situations. As pilots we tend to overcorrect and even in some instances, under correct. An autopilot is almost required in a lot of senses, in order for passenger comfort, there are just things that the flight computers and the actuators and all those things can do with precision that us as pilots can’t do. It’s not really rocket science. I know it’s kind of hard to let go of that pride and say, well that’s not true, an autopilot definitely can’t fly better than I can. Well, the truth of the matter is that it can, there are a lot of factors that come into play here. Yes, the autopilot gives full attention on the flight path at all times and that’s what it does. There are other systems that it works with too like the autothrottle so yes; the autopilot is more precise than the pilot. We have the opposite view too that will come up in a con but it is more precise than the pilots in many situations. Another pro of autopilot is it can reduce pilot workload and help you get ahead. Say that you’re dealing with a lot of air traffic control, you’re getting into IMC and you’re having to prepare for your arrival and a lot of other things that come with those busy times of flying. Obviously, when you’re in the middle of cruise, you have some time to think about what’s going on and things aren’t moving as fast as they are during those busy times. One of the things that an autopilot can do really well is that it reduces your workload and along with that, it can help you get ahead. I wouldn’t say that if you’re in a terrible situation you just flip on the autopilot and then try to get yourself ahead. The thing about an autopilot is that it’s there for you to monitor, it’s just not something you constantly have to be on top of every single second like you would be if you were hand flying the aircraft. Again, it can reduce your workload and help you get ahead of the aircraft, especially as a solo pilot or a single pilot operator that can help out tremendously. It almost acts as a copilot if you will, to assist you in doing what you need to do. Again, the caveat to all that is that you still need to monitor the autopilot. Kind of a close sibling or cousin to this is the autopilot allows pilots to focus on other things while they’re monitoring it. We can set it to do a certain thing and we can go away and focus on preparing our arrival for several seconds or we can focus on communication or we can focus on some figures that we need to work on, or even breaking down some efficiencies with the flight whether that be, getting a more direct heading, or shortening our route with air traffic control. It just helps us in those types of situations where we can focus a little bit on other things. Again, the caveat to that is, monitoring it at all times. Another pro to autopilot and one that only specific airline operators will see and a very select few corporate pilots as well, because the aircraft that are capable of this aren’t many, but that is autoland. There is actually a redundancy system built into some autopilots where several autopilots are used that allow the aircraft to land, if you will, in zero visibility and complete the rollout on the runway without seeing anything in the entire approach. Now, I’m vastly over generalizing that situation because there are a lot of regulations that come into that, and visibility minima and different categories of those situations. You also have to be rated to do such things and you have to have currency. It’s a very complex system that goes into making the autoland possible but if that’s a new concept to you, that an aircraft can actually land itself, it’s definitely possible. For airline pilots, that is not a big deal, they do that stuff a lot. They have to practice that autoland capability monthly and the aircraft actually has to do that monthly as well. Autoland isn’t a new thing to airline pilots but it may be new to you, say if you’re just getting into aviation right now. There are aircraft, there are autopilot systems that are capable of landing themselves and that’s called autoland. If you want to learn more about that, I’m sure you could search that Wikipedia or something like that. In fact, I’ll try to put that in the show notes as well so you can learn more about the autoland system and how all that works. It’s very incredible and it’s a prime example of what an autopilot can do that a pilot can’t do, if you will. Along with everything else that comes with an autopilot, the pilots don’t simply throw their hands up in this autoland situation, say ok aircraft, you do it, go ahead and just land, monitoring is happening continually throughout this process and the pilots are making sure that this system is working properly. In addition, there is redundancy so we’re not just talking about one autopilot that’s doing this situation, we’re talking about several, two or three autopilots, that are performing this procedure. The last pro that I came up with and I know that there are many pros to the autopilot, and I’d love to hear your comments on other pros of the autopilot, but the last one I came up with is passenger comfort. These autopilot systems, they operate so smoothly these days that the passenger’s barely know when the aircraft is turning at altitude. If a pilot was to perform that maneuver at altitude, there’s a really good chance, unless you’re super experienced, that it’s going to do some things that the passengers will feel whether that’s a little change in the G-forces or whatever it is. You’ll notice that in an airliner, those things are done very smoothly, that’s all done by autopilot. If a pilot absolutely had to take over and take control of that situation, I’m sure he’d do just fine. It is definitely not recommended and it would take constant monitoring as hand flying does from the pilot in order to get that to work. Those are the pros that I came up with; again I know there are more than those. You’re welcome to write in and tell me some other pros that you have. Let’s go over some of the cons of autopilot. This is the premise of this conversation, is how can the cons creep up and get a hold of us and decrease our skills as aviators. First and foremost, one of the cons is that pilots can become too reliant on the autopilot and we see that a lot these days even with professional pilots that are running into some issues with some pretty notable accidents recently in the last several years. One of those that come up in my mind is the Asianic crash in San Francisco, the Triple 7. Now the Triple 7 has an incredible safety record, this is the only Triple 7 that has been written off because of an incident, in this case, an accident because a lot of people died. As information about that accident is coming out, it’s clear that the pilots of this aircraft were far too reliant on the autoflight system to do their work and they weren’t monitoring the aircraft in a basic way. For many of you that are close to that investigation or you’ve followed it closely, I am overgeneralizing it but at the end of the day, the bottom line is that the airspeed of the aircraft got way too low and these guys essentially drove the airplane into a sea wall because they weren’t monitoring the aircraft correctly. So, above and beyond anything else, above all of the idiosyncrasies and human factors, things that go behind it, that’s the bottom line for this aviation accident. These guys thought that the autoflight system was doing something that it wasn’t and then they weren’t monitoring their airspeed. It’s just a really weird situation, I’m not saying that I wouldn’t do the same thing if I was in that situation, I understand that really weird things happen in aviation accidents and we as pilots should not have so much pride that we think those things cannot happen to us. Again, bottom line is that the guys drove this airplane into a sea wall and people perish as a result. I heard, this is complete rumor, I could be totally wrong, but what I heard is that the pilots of this aircraft or at least one of them said that one of the most difficult maneuvers to do in the Triple 7 was a visual landing and that just blows my mind because these aircraft are incredibly capable, stable, and give you all the feedback and information you need to do that sort of thing quite easily as a pilot. That’s one of those things I just don’t buy and I guess why we’re getting into these cons. Is because pilots can become too reliant on the autopilot and in a lot of situations, this is creeping into general aviation as well, we’re seeing that pilots are relying on the autopilot too much. We’ve kind of beaten that one to death, I think that’s pretty obvious that that is a con of the autopilot. The next one is, an autopilot can mean the long-term degradation of hand flying skills. If you were in the habit of taking off and starting your climb procedure, turning on the autopilot and not turning it off again until you’re turning base to final or whatever it is, then there is going to be a degradation of your hand flying skills guaranteed. If you are not hand flying the aircraft and knowing what it feels like to control the aircraft, then overtime you will lose those skills. As I heard one pilot say, flying is a perishable skill and it’s something that does go away if you are not practicing it. If we rely on the autopilot too much, it can mean that our hand flying skills will go away, that is certainly something that I don’t think any pilot wants. Next con is the autopilot can’t think critically like a pilot can. Although these systems are very complex, they’re doing a lot of calculation in the background and they’re doing so many things, there is still a need for a pilot on the flight deck because we make critical decisions that the autopilot cannot make. If we see an aircraft in front of us, or a flock of birds in front of us, we have the reaction skills whereas an autoflight system does not. Will there be a day when that happens? I have no idea, but I see that being a bit far off in that, the human mind is very incredible at solving problems quickly and I’m certainly not saying computers can’t solve problems quickly. We’ve all seen the proof that they can, but there are just things that we as pilots can do that an autopilot can’t do. That’s why we still have jobs. That’s why airline pilots are still greatly sought after and the experience that they have is valued so much. Even with all of this flight automation that we have. The last con I have and obviously, just like the pros, there are more cons that are available out there and if you know of any, I’d love to hear your feedback. Another con is autopilots can mask issues with controls or your flight profile. Say that you’re flying along and you start to build ice on the aircraft and your flight profile is changing. The autopilot will automatically correct for that because it’s shooting for things like power and airspeed and altitude and heading. It’s going to correct those things but you’ll notice if you’re ever in those situations, that as soon as you kick off the autopilot, the airplane will release those actuators and you’re going to be doing a flight profile that’s not normal. Cause in normal circumstances, you would expect the aircraft to disengage and you’re basically in the situation that you disengaged in but it can become this situation where you aren’t aware of these changes going on in the background because the autopilot isn’t in control at all times. Another example of this, perhaps a more basic example is when you’re flying with autopilot, it will automatically correct for wind changes. That’s why you see aileron and elevator, well elevator term is a basic one but aileron, elevator and rudder trim that takeoff those pressures if you will. Now in a lot of situations using trim with the autopilot engaged actually isn’t allowed so you just have to look into what you’re particular aircraft is, your pilots operating handbook says, and that’ll tell you what to do there. That’s another situation where it can mask what’s going on with the actual aircraft. We’ve now covered the pros and cons. Now we want to go into a summary of what we’ve covered so far. First of all, the autopilots as we’ve seen have come a long way and we are now finding that they are making their way into newer general aviation aircraft that are very precise. I mean we’re talking about aircraft that are capable of doing LPV approaches down to minimums at very precise numbers. They do that in pretty basic models of airplanes these days. Next in summary, is there will come a day where general aviation aircraft will fly just as precise as today’s airliners. Now I say today’s airliners because I pull from today’s standards. I believe that airliners will obviously get more precise and if we always measure general aviation against these passenger category aircraft that need a lot more precision and redundancy, then we’re always going to fall short in general aviation. As far as what we have today in airliners, I do believe there will be a day where we have single engine aircraft that can autoland themselves for example and do so on an LPV approach in some random town in the middle of Wyoming where there’s hardly an instrument system at all except for what is satellite based. Just a lot of wild stuff, I’m sure there’s a lot of things that we will see in the future that will be very astounding as far as what autopilots can do and what the system as a whole will do for us. We also covered that there are many different types of autopilots and different levels of precisions. We have some Roll Only autopilots, some Pitch Only autopilots, we have some Autothrottle, the Stability Augmentation System which finds its way into some many different situations. The thing that you need to be concerned about is what type of autopilot does your aircraft have? Are you familiar with how to operate? Are you familiar with the idiosyncrasies of that autopilot? How do you cope with those? These different questions you need to ask yourself about the autopilots that you’re using in the aircraft that you’re flying. There are a great many pros about an autopilot in many situations a properly functioning autopilot is required for certain phases of flight by regulation or by company SOPs so we saw that the autopilot is required in an autoland situation, a lot of the airlines have specific rules that the pilots are to engage the autopilot above a certain altitude so those are operating procedures and a lot of things in between where the autopilot is actually required in certain cases so that goes back to the fact that an autopilot can and does fly more precisely in a lot of situations than a pilot can. That doesn’t absolve us other responsibility to monitor what’s going on with the autopilot. Last but certainly not least, if you rely on an autopilot too often and don’t find yourself practicing those hand flying skills, it may be time to disengage if you will, and fly a bit by hand to get a feel for your aircraft. If you are guilty of using your autopilot far too much and there are situations where you can be hand flying and you aren’t, in other words, it’s not required that you’re to use autopilot. I would challenge you to fly by hand, learn your aircraft and its flight profile better and become more familiar with it. Those things come in an incredible use when you’re in those situations where you can’t use autopilot for one reason or another and then you’ll have a firm grasp, literally, on how to fly by hand. In conclusion of this topic, I think it’s safe to say that autopilots are a fantastic tool for pilots and although there are some negatives or some cons, mostly for I would say GA pilots, these systems offer a whole lot of important help for aviators. As GA pilots, we don’t have a lot of experience with many different types of aircraft and we certainly don’t have the tens of thousands of hours behind us to say, yes, I’ve done my share of hand flying and I know that I got it. It’s something that it’s engrained in the core of who I am as an aviator. It’s especially something that as general aviation pilots we need to look out for is making sure that as these systems are making their way into our aircraft that we aren’t’ relying on them too much and that we are maintaining those important hand flown skills that will always be part of who we are as an aviator. That’s it. I hope you got something out of this flight-training topic and we will see you in the next topic. Voice-Over: And now, the flight simulation segment. Chris Palmer: Ok, so welcome to the flight simulation topic. In this topic, we’re going to talk about all hands on deck, or a discussion on hand flying the aircraft, or your aircraft. As simulator pilots, we see this shiny aircraft that was just released from a great software publisher and we clamor to go fly that aircraft, this leads to, to be completely honest, a lot of inexperienced and untrained aviators flying the earth in virtual skies. Now, you’d be surprised to know this but seventy percent of our trainees that are hobbyists or aviation enthusiasts that fly with our simulator training do not know the basics of how to fly. Now we find this kind of odd, as obviously our aviator 90 course is free for all the learn and that goes through a lot of the basics. Even the basic skills of landing, takeoff, taxi, and basic flight maneuvers, are not known by the vast majority of flight simmers. Which, you would think would not be the case, but at the same time, it does make sense because a lot of flight simmers haven’t’ had actual training. Although we do have a free resources in aviation 90, it’s not like its blaring in everyone’s faces. We don’t push it on anybody if you will. Although we wouldn’t expect you to completely ignore these amazing aircraft that come out that are released on the market often, we do at least think that all pilots should strive to at least get the basics down in conjunction with flying this new toy or this new simulation. After our autopilot discussion, I want to take things a bit further along those lines, we think that all pilots both virtual and real world should be excellent and skilled aviators before relying too much on an autopilot. What exactly does that mean? For me that means, you must become confident that you can precisely control an aircraft through all phases of flight, not just landing and takeoff. Obviously the landing and takeoff are those phases where it is common to not have the autopilot engaged. We should be familiar with all phases of flight, not just those two albeit difficult phases of flight. Landing and takeoff are some of the two most desired skills that aviators have both real world and virtual but, there is so much more out there that needs to be learned. Let’s discuss how all of this has evolved so that the challenges you may be facing now, and how you can overcome these difficulties. First I want to talk about the average untrained flight simmer. I’ve already touched on this a little bit. You would think that starting off, the average untrained flight simmer is a young kid that’s 14, just got a flight simulator from the store and he’s sitting there flying with his keyboard and he doesn’t know anything about how to fly. Seventy percent, again, going back that number, don’t take aviator 90. That’s across all demographics, obviously we have the younger kids, and its actually one of our smaller demographics, we have the younger kids preparing to get their pilots license and trying to get their toes in the water with aviation so they’re using a simulator at home which is very cost effective for a younger kid. However, this is across all demographics and the largest demographic is from age 35-55. People within that range, there’s far more people within that range that are not skilled in some of these basics that there are younger pilots or even older retired virtual pilots. This applies to everyone is what I’m trying to say. There’s not sense of pride here and really no shame either. Everyone is affected by this problem. With all of flight simmers, it goes back to the episode 1 where the reason that flight simmers often can’t fly is often because of health reasons or medical reasons and because of financial reasons. With that idea in mind, very little to no experience is had by the average flight simmer. In most cases, people haven’t even taken an introductory course or they haven’t even gotten a solo on a private pilot or even taken an introductory flight if you will, so going out with an instructor and talking about taking a private pilot course. They don’t have any experience with an actual instructor in an actual airplane and know very little. The reason why we use video as a medium to teach pilots is because it’s the second best thing to actually flying hands on with the aircraft with the actual instructor sitting there. It’s the second best thing to actually doing the real thing, in that sense, seeing is believing. If you are a virtual pilot for example, the point I’m trying to make is that, if you’re a virtual pilot you haven’t gone to real training, say you’re 40 years old and you fall within the vast majority of that demographic, you don’t know the basics, the chances are that you haven’t seen exactly what it’s like to fly an airplane from a cockpit’s perspective. I know that sounds very basic but you can read a manual all day long and learn about a takeoff procedure but when you actually go to do a takeoff procedure, you get all the little movements in between the instructions you would get in a manual that speak volumes just by being able to watch it. You see the degree or the intensity of the rotation, which is often a lot smoother than you would think, in a manual that where you would for example, with an airliner that is 2.3 degrees per second. What does that mean? What does that translate into as far as how it looks? That’s what we chose video as a medium to teach that because it’s the second best thing to actually being in there and doing it. We have a lot of inexperienced aviators and I’m not trying to shame anybody, this isn’t about that, and we’ll get to that more in a little bit here. We have a lot of inexperienced aviators going in and flying complex simulations like the 737, Triple7, MD-11, and a lot of other aircraft in between. I would say that even if you’re trying to go out and fly a Cessna 172 and you don’t have these basics down, that’s dangerous enough. We have these shiny new toys and all this great knowledge that we can learn and this dream of being an airline pilot and being able to taste what that’s like with the simulator, so we go out and learn these things. I’m not saying stay away from that; I’m certainly not saying that. What I’m saying is that, there are the basic skills that need to be learned. Today, that basic skill that we’re going to talk about is hand flying. You and I are both guilty of this, at any level in someone’s aviation career, we can all learn more and there’s that uncomfortable area too where we have to be a little more curious than where we currently are in our training. We have to be pushing ourselves into new areas that are new and different to us. Rather than just being 100% knowledgeable about a specific subject before we actually go and we actually fly. I don’t believe in that, I believe that people should be going out and actually doing these things, not just reading them in a manual and thinking they are an expert. I don’t believe in that at all, I think there has to be a bit of discomfort in the learning process in order to push us forward, and also that curiosity that we should have. I’ve railed on you enough, I hope you don’t feel shamed and blamed and like you’re this little guy trying to fly a flight simulator, that’s not what I’m after here. I’m simply defining the issue right? I am defining it because now we are going to talk about how we can fix that and what we can do in order to make this a positive experience and get you guys ahead. Get you to that place where yes, you do know the basics so you can build on that, so you are a rock star at flying 737 or triple 7 or whatever aircraft you choose to fly in. However, there has to be that foundation. Going back to the positives, one of the biggest things I’ve noticed about flight simmers is that they are incredibly passionate about aviation. Even with seasoned airline pilots, I see that the light goes out of their eyes. This is just another job for them. They’ve gone through a divorce as a result, we call that AIDS or aviation induced divorce syndrome. It’s kind of the light is out of their eyes, it’s just another career. What I’ve noticed with flight simulation enthusiasts is that they are incredibly passionate about aviation, they’re the type of guys that will get on YouTube and watch videos of airliners taking off for hours or they’ll get in and watch a tutorial on how to fly a specific aircraft for hours. That, to be completely honest, is the reason why we are where we are today is because we have all these passionate aviators and by we, I mean Angle of Attack, we have all these passionate aviators, virtual aviators that want to learn how to fly like actual pilots do. So they come to us to get that realistic training. First and foremost, yes, we have defined the issues but more important than that, I know that you guys are absolutely passionate about aviation. Another positive is that there are a great many tools out there to learn and most of those are really cheap for flight simulator enthusiasts and they are often free. A lot of resources not only here with Angle of Attack but you’ve got stuff on Youtube, things like this podcast, this isn’t the aviation podcast out there, it really is just the nature of the internet. There’s so much great information out there on how to become a better pilot from even a real pilot perspective that a virtual aviator can bring over into flight simulation. That’s big, having all of those resources out there for you to grab. On top of that, just like anything else, maybe this is a zen habit of life, but time is time is on your side and just a little commitment each day will ensure that you can become a better virtual aviator. It’s just how things are. If you are going to commit to learn a little bit every single day or a little bit a week or you have monthly goals, whatever it is, going back to our previous episode of setting new year resolutions, you can get to where to you want to go, it just takes a little work at a time. You don’t have to do a private pilot course or a multi-engine course in a week. You don’t have to cram it in. it’s just a little bit of consistency that you need to gain with your flight training. I really love the aspect of curiosity when it comes to flight training. I think we should all be generally more curious about what we are getting into and becoming more curious about how an ILS system works or how an autoland system works or the challenges that come with hand flying or, really just that general curiosity that sparks us to want to learn more or to learn deeper about a specific subject. Those are the positives, and I think the positives are better to focus on. So, let’s focus on the great positives; that you are all incredible passionate, there are a great many tools out there, it just takes a little bit each day to make this happen and then now what? Now it is time to be an aviator. Here are just a few tips or a few things I came up with that I think will really help you out. I know I’ve shared a few of those that you may have drawn so far but, first and foremost, for you guys that fly jets, just go out and fly a GA airplane. A general aviation airplane, find one you love, one that you have a particular draw toward for whatever reason, whether it was the first one you sat in as a kid, and then just go out and go somewhere. Choose your local airport then choose another place that you can go down the road a bit. Just go out and fly a GA airplane, don’t ignore this very integral of what aviation is. It’s really easy to just jump in go somewhere and enjoy it. We call this low and slow and I’m sure you’ve heard that term before. Just enjoy the scenery, fly around by hand, no autopilot at all and just enjoy it. Just enjoy the fact that you’re flying and going somewhere and that you’re in control of your heading and your destination in wherever you want to go. Obviously, that’s not what we do as pilots most of the time, especially if you are trying to simulate the airline environment with these shiny new toys. We are going from point A to point B, there are so many rules and regulation in between that we get lost in all of that mess and we forget the love of aviation in the first place which is that the world is at our fingertips, we can really go anywhere. That’s a particular draw. A simulator is because we can go and experience many different areas of the world from an aviation perspective. Whether it be, what it’s like to fly in Australia or what it looks like there, or what it’s like to fly in Asia or Russia – all of these different things that you can do. Again, low, slow, no autopilot. Now this next one is a little bit touchy feely but I think you guys should get in touch with your inner aviator by digging into the nostalgia of aviation. 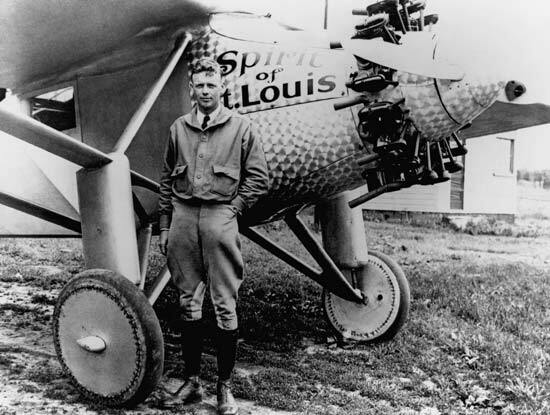 If you go to the show notes for this episode, just go over to AviatorCast.com, I want you guys to look at this picture or a few pictures that I’ve put on here of Charles Lindbergh. Several years ago I read the book by Charles Lindbergh, titled, “We”. That isn’t yes in French, that is we as in you and I. This book really started this feeling for me that we are aviators and we are not pilots. I do believe the two are distinct and unique and separate themselves from each other. Charles Lindbergh is an incredible example of heart and skill and all of these different things that really astounded me from a basic core level of why I love to fly. It’s funny, one of my favorite things about his book was how he abandoned a few airplanes where he did all he could and he just walked out on the wing and he bailed. He had a parachute obviously, but he just abandoned ship because he did all he could, he was upside down, whatever, he got out of the airplane. I found that this guy was doing things that you and I can’t even imagine. He was exploring the world in a way that hadn’t been explored at the time and that’s what we need to get back to. Not all of this airliner stuff and getting distracted by all these great things. Are they awesome? Yeah, I really love to this day, to hear the sound of engines spewing up, seeing them takeoff, or seem them break through on minimums and do a landing. I love everything about airliners. However, I realize that there’s core to flying, this thing that all people were made to fly. That we were made to do this and I don’t believe we really get that feel by simulating the airline environment. We get it a little bit and I think that’s part of why it’s appealing. However, it’s those basics that are really great. With that said, going in, just taking the aircraft and going somewhere. A couple other points, just do some unpredictable with the aircraft, try new things, do a loop, do a steep turn, and do some really short-based final approaches. Just try new thins and see what you can do with the controls and see how you can manipulate the aircraft to get it to do specific things. That can be really fun in a simulator, by the way, disclaimer, only do this in a simulator. I wouldn’t expect you to go and try these crazy new things in the real world. Go and do something different instead of flying straight and level and trying to get somewhere, just go and do something different. Do some pattern work, go in and fly through a canyon at low level, something like that, something strange and off map, off autopilot. Fly into difficult airports, there are a lot of crazy airports around the world, there’s one called Lukla in Nepal, I’m not sure if I pronounced Lukla correctly, but it’s this upslope runway. The pilot comes and they can only land one way which is uphill and they can only takeoff downhill which is pretty steep grade, I would guess that it’s about 15 to 20 degrees, in that range, if not more. It’s a really steep hill. There are a lot of these different challenging airports around the world that you can fly into. When you start to talk about bush flying, you can do a lot of crazy things when you’re talking about bush flying. Bombing over trees and landing on a lake, there’s so many things you can do with bush flying, and that’d be a perfect thing to do in this particular situation. Go out and try to find some difficult airports. Then last but certainly not least and what we’re trying to get at here is become a champion of hand flying, become the guy who is just a rock star at hand flying the aircraft because you’ve practiced it so much. You’ve spent that time to go through and learn here and there and you take some breaks from flying these airliners and you go in and you fly these general aviation aircraft. Another point to this is to just go have fun again. It’s not all business all the time. Go and have fun flying. I challenge you to do that again, go find a great general aviation aircraft, do it low and slow, get in touch with your inner aviator by digging into the nostalgia of aviation so looking at how they did it in previous years, the dawn of aviation, Charles Lindbergh’s book is great. I’ll put a link to that in the show notes so you can see, or perhaps get a chance to read that book if you’d like. There’s another book called, “Stick and Rudder”, which is a great book, that’s more of a perspective on actually how to fly but it’s more from a theoretical perspective, so that’s a good one. I’ll put that in the show notes as well. Do odd and unpredictable things, go and just be wild. Do something different. Fly in a canyon at a low altitude, do close pattern work, whatever it is, fly in the difficult airports and all that will help you become a better aviator because you’re hand flying. Those skills will assist you. If you don’t know the basic skills of how to takeoff and land, I realize that there are specific pointers on how to do all of that correctly, there is a lot of material out there that you can gather together to make these things happen even on YouTube and things like that. We do have a comprehensive, a to z course on a lot of these private pilot perspective things that you can get from us. It’s totally free, aviator90.com, go check that out if you just like an all in one solution, really no strings attached, totally free. The overreaching idea here is to get the relationship between you and your aircraft mended. You’ve harmed your craft by insulting it by using the autopilot all the time, so it’s time to become intimately familiar again with the beauty of how an aircraft handles by hand. I am completely aware that this is going to be difficult at first, you may crash the simulator many times, especially if you’re trying some of these crazy things. I promise if you do this and do it often, that you will learn very quickly and as a result, you’ll experience one of the most fulfilling aspects of flying which is simply you flying the aircraft, as simple as that is. Let’s wind down this episode of AviatorCast, that is it for the flight simulation topic. Today’s music for this episode is brought to you by Atrasolis, you can download this aviation themed album for free by liking Atrasolis on Facebook and to the Angle of Attack crew. Many thanks go out to them for all of their hard work to make this episode possible and also all of the other training material that we’ve put out there and in general just keeping this business running. So we can continue to serve you. If you did enjoy this episode, make sure to subscribe via iTunes or another podcasts service that you may be using. Additionally, leave others review and share why you love this podcast. It’s really easy and will go a long way to help others learn about AviatorCast. Otherwise it doesn’t popup in iTunes, at least as not one of the popular podcasts in aviation, and some people may miss this great content. Also, you can subscribe for email updates at aviatorcast.com and that will allow you to get instant updates on when an episode is released and although that will automatically go on the iTunes, if you don’t have iTunes and that’s not something you use, you can just subscribe and we will send you a notification on when the next AviatorCast episode is released. Last but certainly not least, you can start with the basics, as we’ve talked about a lot in this episode with Aviator 90, you can also learn instrument procedures with Aviator Pro. We also go in the communications and multi-engine with Aviation Pro quite a bit as well. Or you can even fly one of the many popular aircraft out there like the 737, 747, Triple7, MD-11, we have extensive courses on each one of these aircraft. You can learn more about that at FlyAOAmedia.com. If you’d like also to send us direct feedback, feel free to do that at FlyAOAmedia.com as well. We have some contact information there and send us ideas for what to do for an episode or tell us directly how you feel about this podcast and we’d really love to hear from you. We answer all of our replies directly and we would really love to be involved in a one-on-one basis. Thank you for joining this episode of AviatorCast, it’s really great to do this stuff. I’m passionate about flying and passionate about potentially being able to improve the way you look at aviation. I’m certainly not saying that I am some wise guy out here, but I have had a little bit of perspective on this and I’m just overjoyed to have you here with us. We hope to see you on the next episode and until then, throttle on!